When you double-click on a user interface element, Windows gives you a certain amount of time between the two clicks that make up the double-click. If you wait too long before clicking the mouse a second time, your clicks are treated as two single clicks, rather than one double-click. You can change the amount of time you’re given between the clicks as follows. Click on the Windows key to bring up the Start Screen. 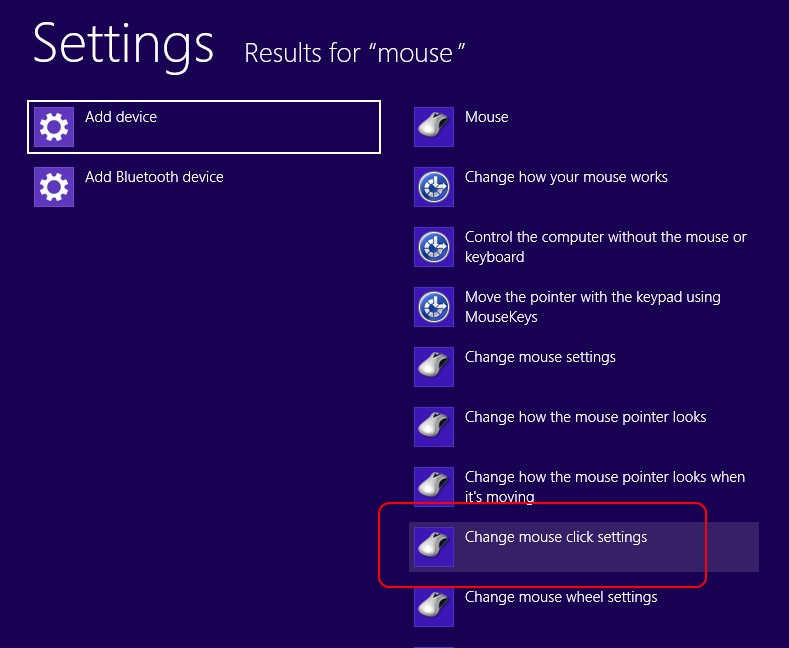 Type in mouse and then click on Settings. Click on Change mouse click settings. 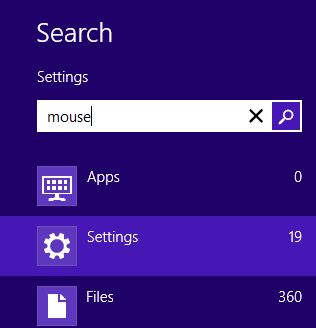 The Mouse Properties window will come up. On the Buttons tab, you can change the time allowed for double-clicks using the slider in the Double-click speed section. 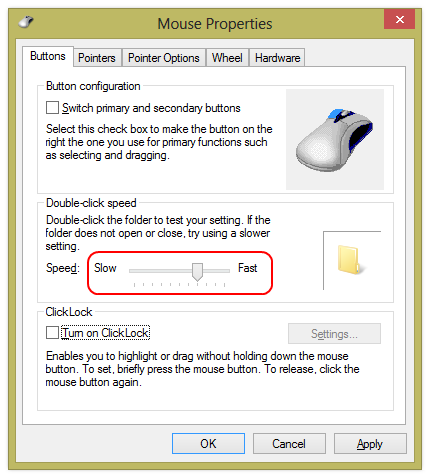 Changing the setting to become more Slow means that you can wait longer before the second half of the double-click. (Up to 900 milliseconds). Fast means that you have less time (as little as 200 milliseconds).